Not just an art studio! Art Mania Studio was born in 2008, from Fee Madigan’s desire to share her passion for art, her creative talents, and her personal positive experience of art in her life. Since then Art Mania Studio has grown to be a successful business and service provider to the wider community, receiving the Rotary Business Award in 2013. Art Mania Studio’s teachers are dedicated, professional and enthusiastic; artists sharing their love of art and their skills and experience. They are flexible in their approach, proving support and guided learning. Here at Art Mania Studio we are committed to being socially inclusive. Individuals with any level of experience, social background, and ability are invited to attend our courses. 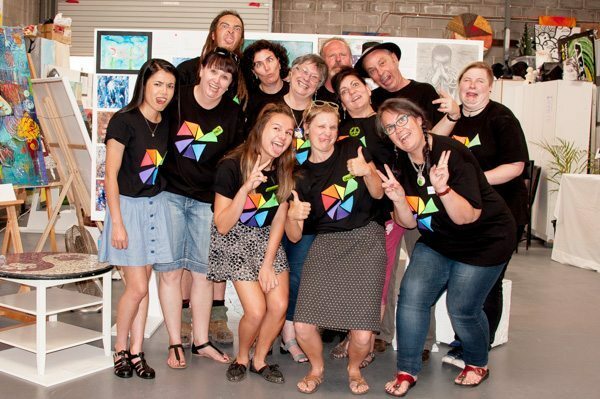 Art Mania Studio is always open to working with students, carers, support workers, and service providers to ensure those who with to attend our courses are able to do so.